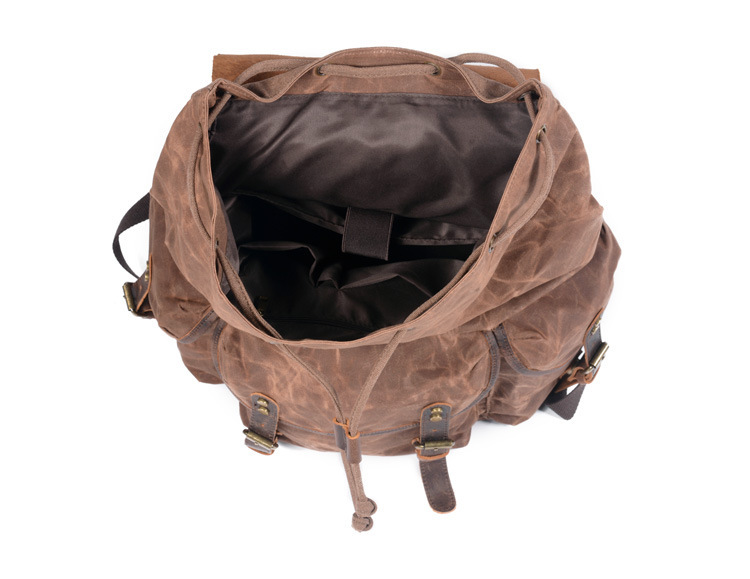 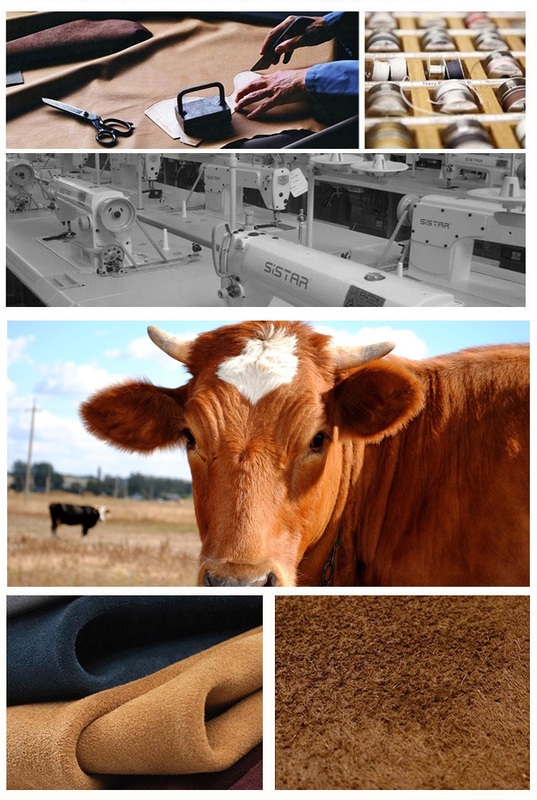 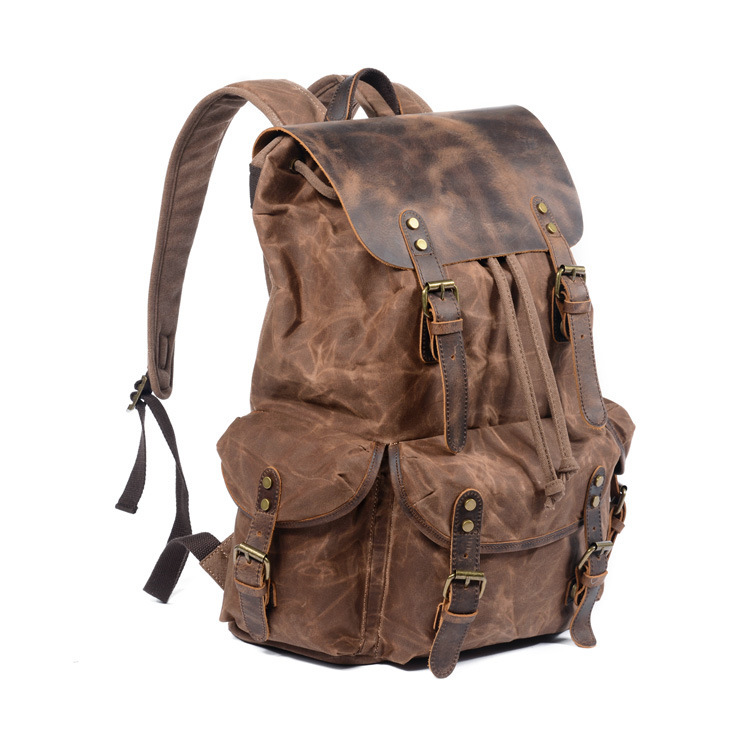 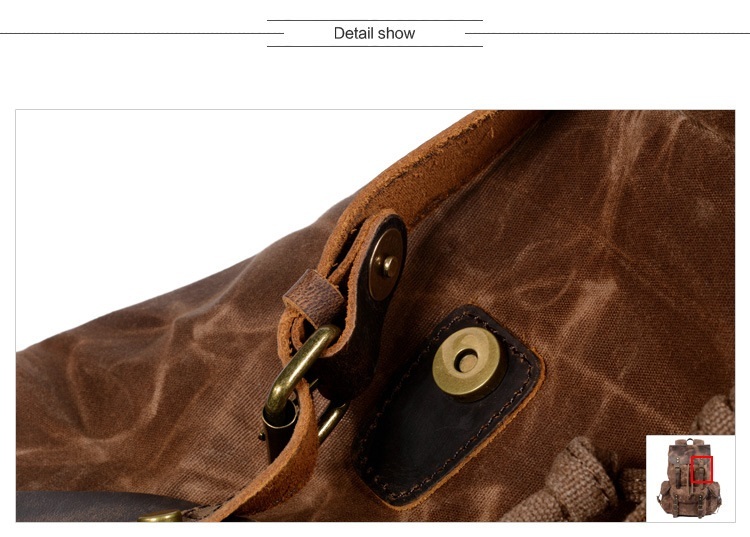 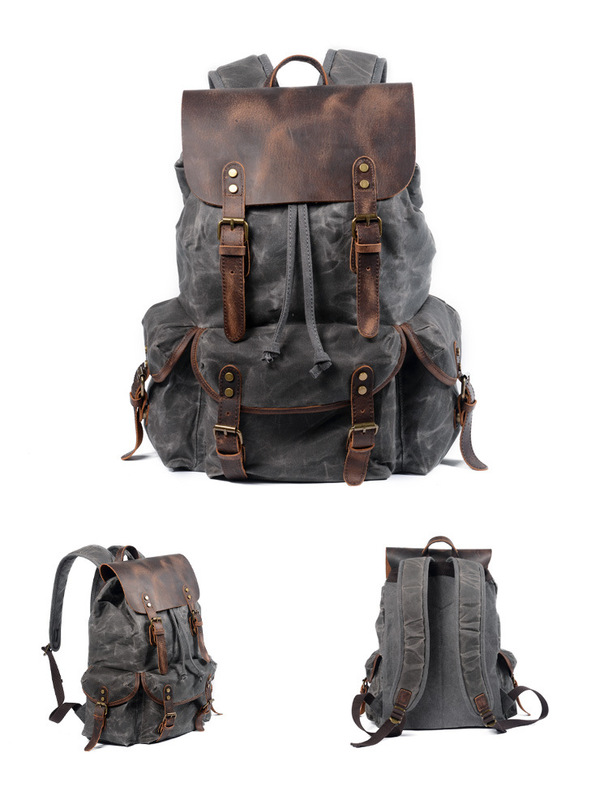 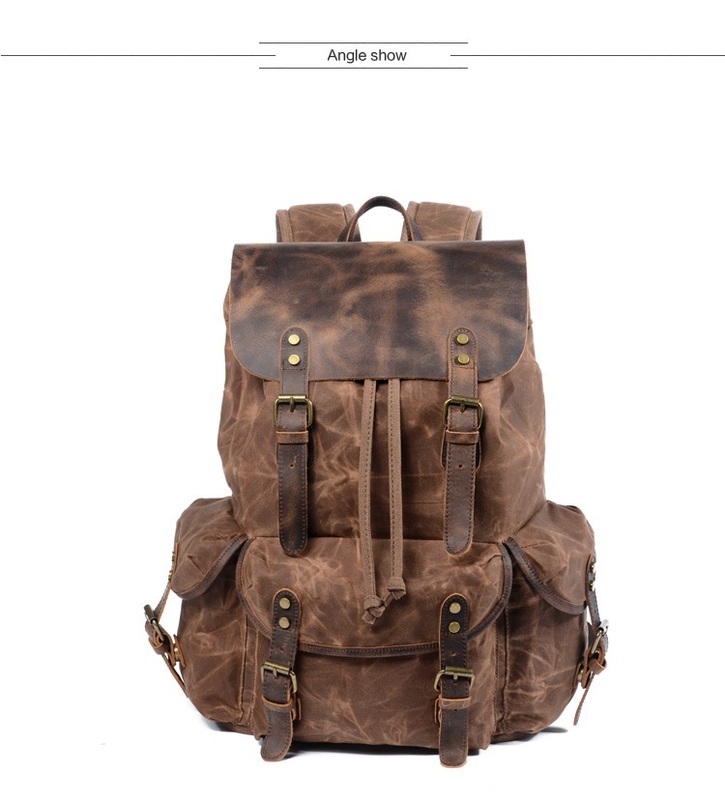 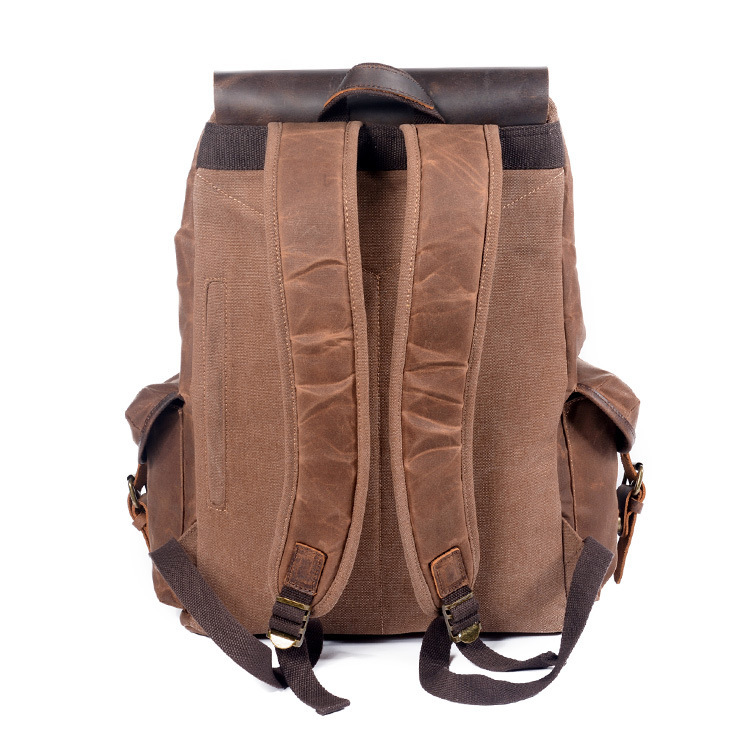 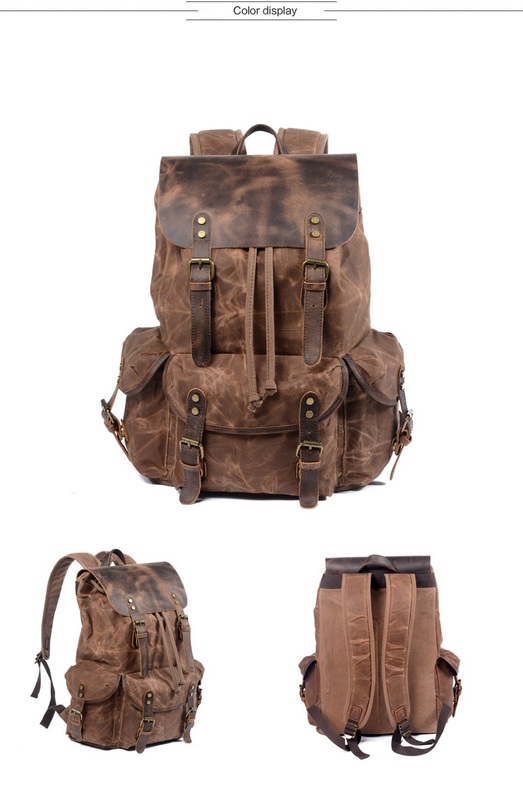 Waxed canvas: heavy oil wax canvas and leather trim give a very stylish and retro look. 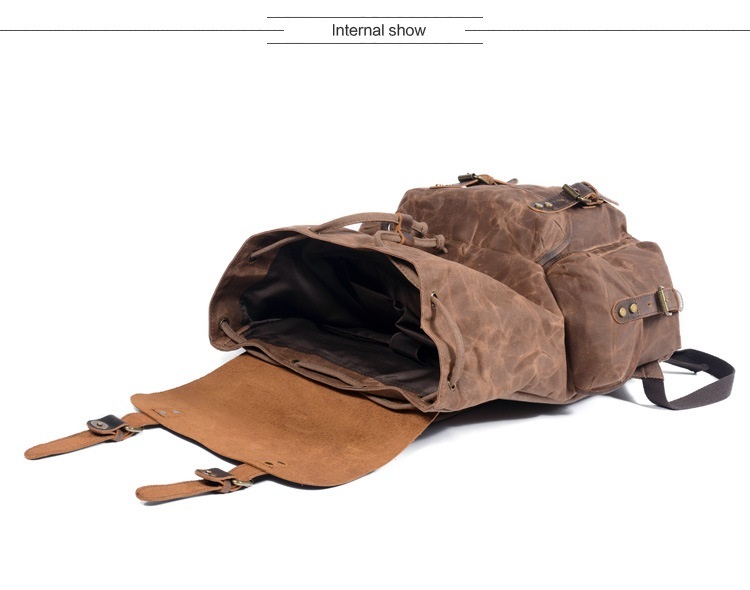 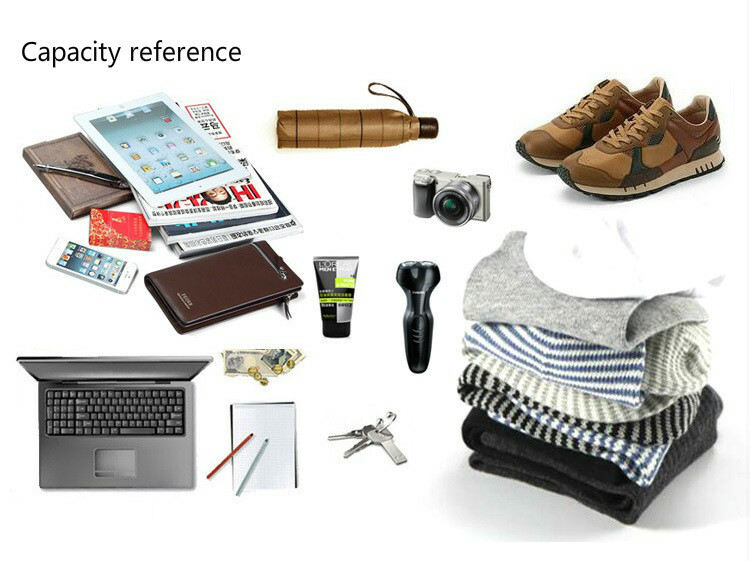 Large capacity: Multiple different compartments for 15.6" laptop / 15" Mac, IPad Pro and accessories, textbooks and supplies, cameras, binders, folders, textbooks and more. 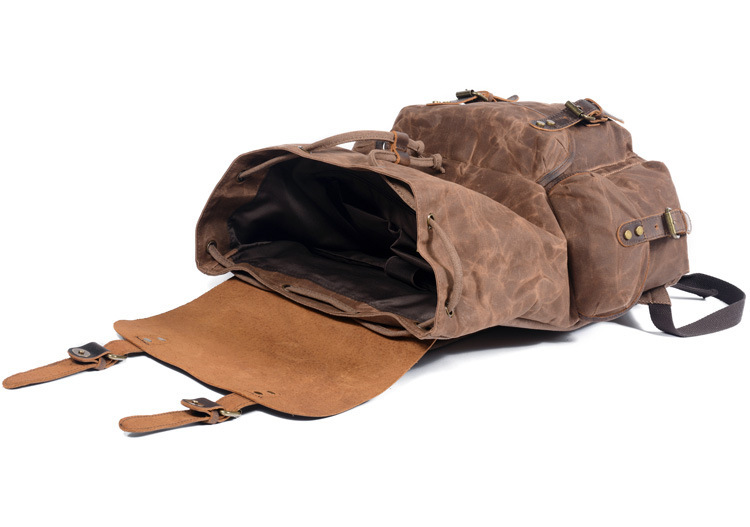 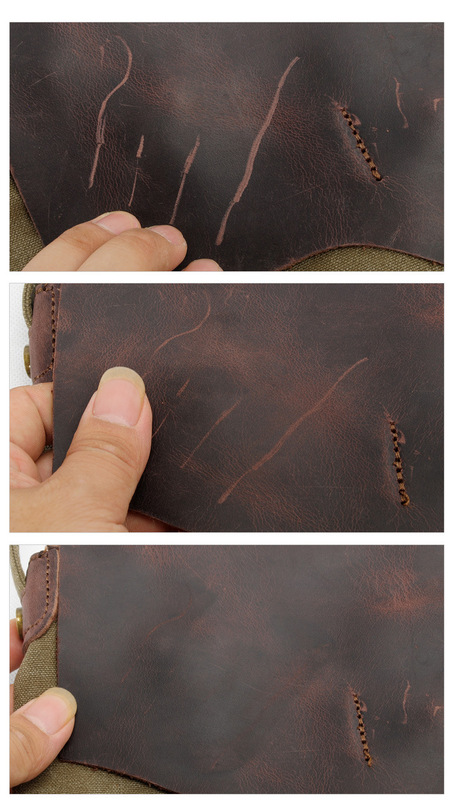 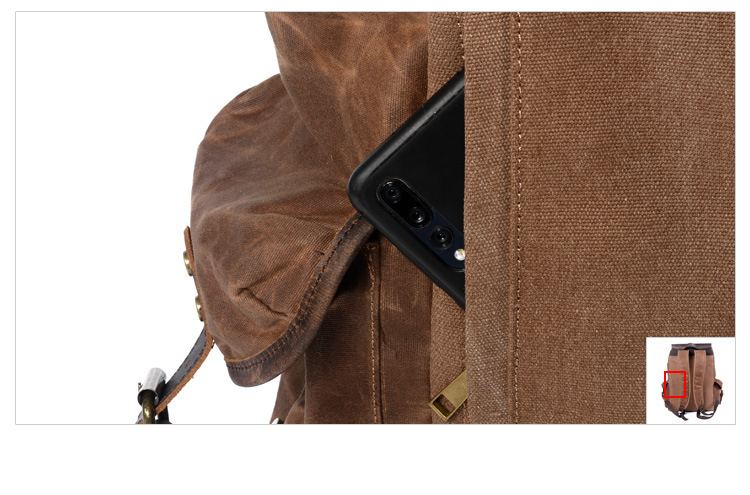 Wax canvas flip: waterproof, waxed, sturdy brown leather top flap and belt, brass hardware, magnetic snaps, drawstring top, functional pocket, classic design, never fall behind. 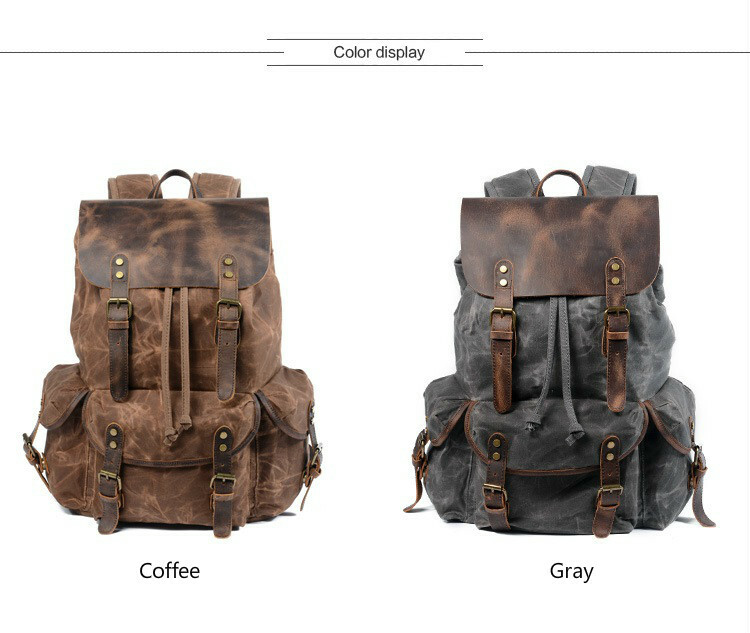 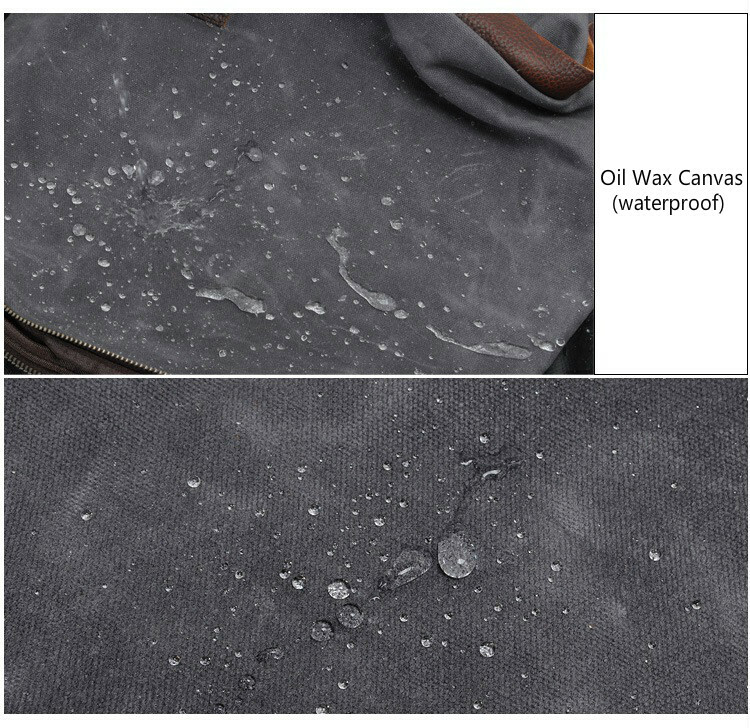 Casual style: suitable for campus, office, gym, weekend trips, weekend adventures, plane-carrying, camping, hiking, cruises, jungle, daytime activities and air travel.